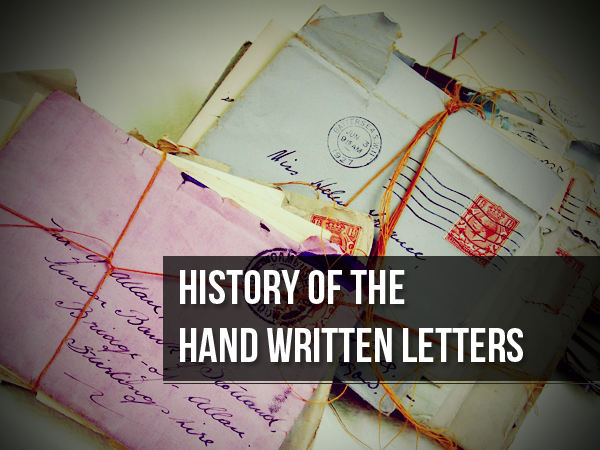 According to the testimony of ancient historians, the first recorded hand written letter (epistle) was by Persian Queen Atossa, around 500 BC. The leaves of plants and the bark of trees advanced the use of writing. The linden tree was particularly good allowing the folding of its bark. Egyptian papyrus made possible the ancient libraries of Alexandria. Jumping ahead to more modern times, prior to 1840 letters were delivered by courier, coach or horse rider. The receiver of the letter had to pay on its receipt and the cost was dependant on the number of pages and distance travelled. To prevent the contents of the letter from being read by others they were sealed using a colored wax with ring or handheld seal. In May 1840 Great Britain introduced the first prepaid stamp nationwide postal delivery service, with the Penny Black stamp (portrait of the young Queen Victoria) for letters under half an ounce and the Two Penny Blue stamp for letters over. This was soon followed by other countries introducing similar systems. The United States postal system played a crucial role in the national expansion. It facilitated an inexpensive, fast, convenient communication system. The postal service helped integrate established areas with the frontier, creating a spirit of nationalism and providing a necessary infrastructure. You could now easily communicate your family updates to your cousin Elizabeth in Virginia, all the way from your home in Massachusetts. Personal communication now is sadly being replaced by short bursts of text messages beeping on our phones and e-mails clogging up our in-boxes. Let’s all put forth our best effort to make sure letter writing does not become a lost art!